The Italian company A&T Europe – Myrtha Pools has celebrated its 50th anniversary. From its founding in 1961 it has been engaged in the end-to-end production of swimming pools – from design and manufacture to pool installation and after-sales service. Technical innovation is still very much part of its manufacturing activities, and the basis of its new proprietary systems such as the Myrtha technology. 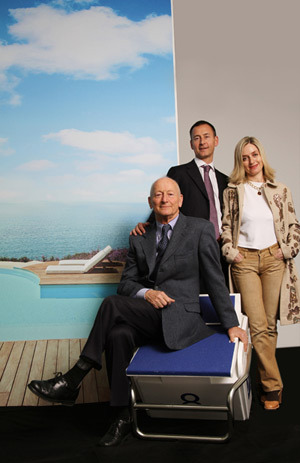 The company comprises several divisions, including Piscine Castiglione, Piscine Service & Concessionaires, and Pools – as well as its export divisions, Myrtha Pools and Proteus. The company has designed and constructed prestigious swimming pools in more than 70 countries around the world in a wide range of climatic and environmental conditions. It also numbers swimming federations among its clients, having constructed pools for a number of world championships. A&T Europe - Myrtha Pools has been selected to build seven large pools for the London 2012 Olympics.